W. George, "Alberto Giacometti" in Art et Industrie, no. 21, 25-27 July 1957, p. 25. J. Dupin, Alberto Giacometti, Paris, 1962, p. 248 (plaster version illustrated; another cast illustrated in color on the cover). 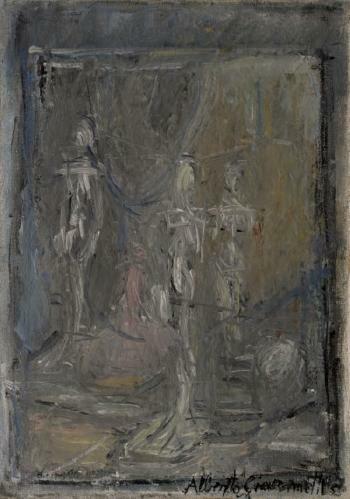 P. Bucarelli, Giacometti, Rome, 1962, pp. 77-78, no. 49 (plaster version illustrated). F. Meyer, Alberto Giacometti: Eine Kunst existentieller Wirklichkeit, Frauenfeld, 1968, p. 168. B. Lamarche-Vadel, Alberto Giacometti, Paris, 1984, p. 143, no. 205 (another cast illustrated). C. Juliet, Giacometti, Paris, 1985, pp. 50-51 (another cast illustrated, p. 50; detail illustrated, p. 51). A. Giacometti and T.B. Jelloun, Alberto Giacometti & Tahar Ben Jelloun, Paris, 1991, p. 73 (another cast illustrated in color). Y. Bonnefoy, Alberto Giacometti: A Biography of His Work, Paris, 1991, p. 290, no. 266 (another cast illustrated in color, p. 291). T. Dufrêne, Alberto Giacometti: Les dimensions de la réalité, Geneva, 1994, p. 55. E. Scheidegger, Alberto Giacometti: Sculpture in Plaster, Zürich and Frankfurt, 2006, p. 111 (plaster version illustrated in situ in the artist's studio, p. 72). 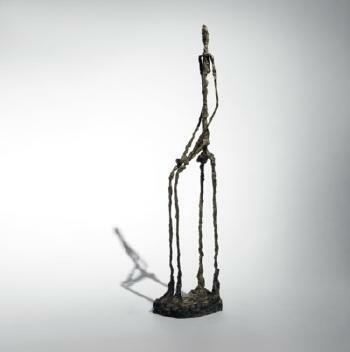 The Alberto Giacometti Database, no. 1550. Galerie Maeght, Paris (acquired from the artist). Erica Brausen (Hanover Gallery), London (probably acquired from the above). Thomas Ammann Fine Arts, Zürich. Acquired from the above by the present owner, 1986.